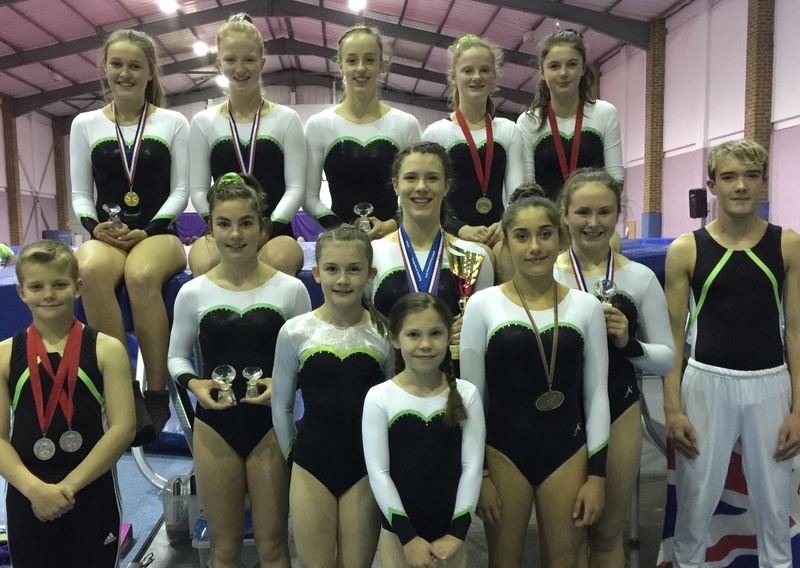 Portugal and Prague are just two of the competition destinations travelled to by Uckfield-trained trampoline gymnasts in the last few weeks and they have chalked up some impressive results. Sky High Club trampoline gymnasts who have achieved success in recent weeks. There was a Gold medal for Louise Brownsey in the Junior Girls at the Friendship Cup in Prague and a Bronze medal for Erifilly Heonos in the 13-14 Girls at the Loule Cup in Portugal. The Sky High Club, which is based at the Fun Abounds Trampoline Centre in Uckfield, is also very proud that one of its members Louise Brownsey, British Trampoline Champion in the 15-16 age group, has won the Tandridge Young Sports Personality of the Year Award and is a finalist in the same category in both the Sussex Sports Awards and the Surrey Sports Awards, to be held on November 25 and December 6 respectively. 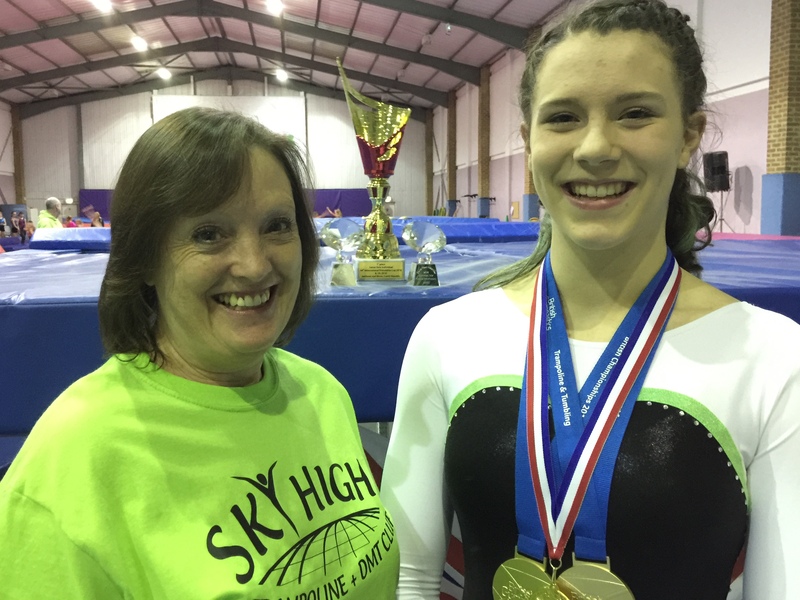 British Trampoline Champion for the 15/16 age group Louise Brownsey, pictured with her coach Stella Jackson at Fun Abounds, Uckfield, where the Sky High Trampoline Club meets. The weekend of November 5 and 6, saw great success at the David Ward Hunt Cup in Gillingham: 13-14F: Heidi Crowther, Silver; Lily Robson, Bronze; 15-16F: Louise Brownsey, Gold; Synchro Junior Girls, Louise Brownsey (with Katie Gallacher from Alba, Scotland), Gold; DMT: Lily Robson, Frances Smoker and Callum McCabe, Silver and Ella Lovelock, Bronze. Following success in four qualifying competitions during 2016, eight Sky High trampoline gymnasts are to compete at the National League Trampoline Finals, due to take place at the Velo Park, Queen Elizabeth Olympic Park in London, on the weekend of November 26 and 27. They are: Ella Lovelock, Harleigh Broughton, Tabitha Coddington, Luca Major-Owens, Thomas Magson, Jade Pearson, Abi Jaques and Frances Smoker. On the weekend of November 19 and 20, several Sky High performers will be travelling to the Sky Dome in Coventry to compete at the English Championships. 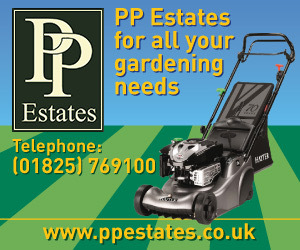 Some of them have also been selected to represent the South East Team. 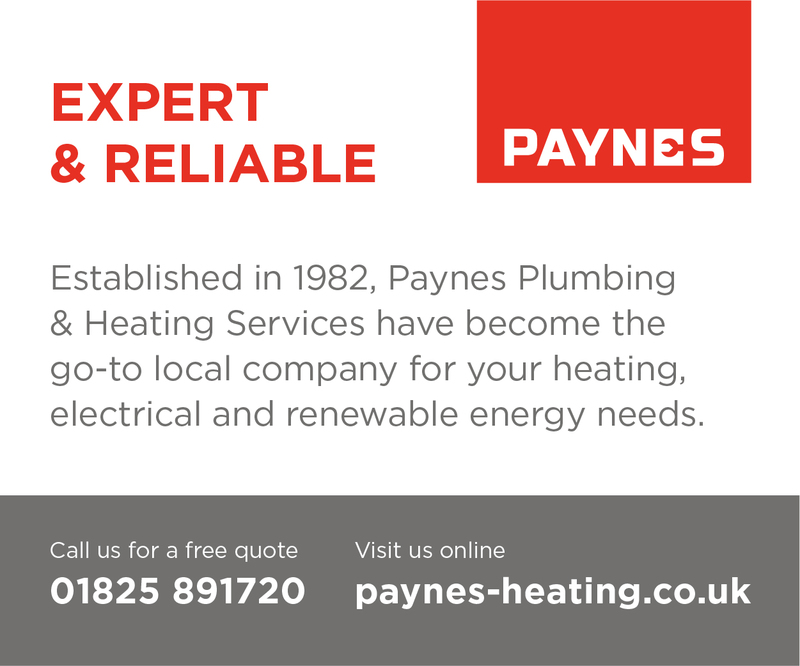 Those competing are: Lily Robson, Mai Wiley, Heidi Crowther, Oliver Guile, Abi Jaques, Daniel Bradford, Erifilly Heonos, Louise Brownsey, Ella Lovelock, Frances Smoker, Thomas Magson, Maisie Ward, Olivia Burvill-Patching and Jasmine Etherington.